Can a Surviving Spouse Short Sale a House to a Relative? After a spouse dies, homeowners may find themselves with a financial burden they can't deal with alone. When default is imminent or you are already headed toward foreclosure, your lender may allow you to sell the home as a short sale. In a short sale, the lender takes a loss on the mortgage by allowing you to sell the home for less than the balance owed. 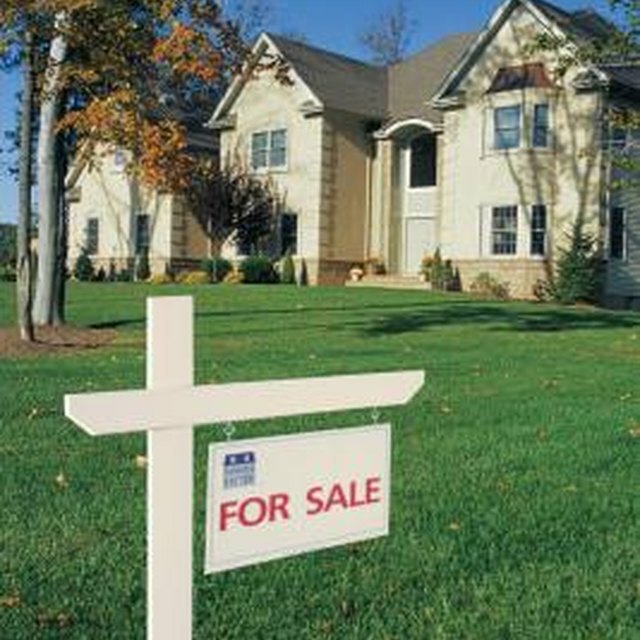 Lenders have many rules for short sales, including one that prohibits selling to relatives. The death of your spouse may qualify as an extenuating circumstance that requires you to sell the home. An extenuating circumstance is a type of hardship beyond your control that is unlikely to happen again. The lender is more likely to approve the short sale of your home if you can prove that your spouse's death caused financial hardship. If your deceased spouse was the main breadwinner, serious illness or disability increased your financial burden or the death otherwise affected your ability to continue paying for the home, you are a good candidate for a short sale. Lenders require that you sell the home to a buyer unrelated to you. A relative by blood, marriage or other family-type relationship does not qualify to buy the home from you because of the potential for fraud. Short sales must be conducted at "arm's length," meaning the buyer is distant and unfamiliar to you and dealing in his own best interests, as are you. Relatives are more likely to give preference to related buyers and collude to benefit the seller. The lender prohibits the seller from benefiting monetarily or circumstantially from a short sale. It requires you and the buyer to sign an affidavit stating that your transaction is arm's length. The lender attempts to minimize its losses as much as possible in a short sale. In doing so, it requires you to consider all offers fairly before accepting one. Some lenders may require you to disclose all of your offers to them to ensure that you accept the best one. The lender also usually requires you to list the home with a real estate brokerage to ensure fair practices in selecting a buyer and maximize the home's exposure to the public. You must list your home on the local Multiple Listing Service, or MLS, and try to find a capable buyer unrelated to you by family or business to be considered for a short sale. To remain in the home and avoid foreclosure, you may want to ask your lender for a loan modification. You must demonstrate the ability to pay a lower monthly payment; therefore, this is a possibility if you have stable and verifiable income. The lender considers death benefits, pensions, Social Security and other continuous income to which you are the beneficiary in determining your eligibility for a loan modification. Qualifying for a modification involves much of the same paperwork as a short sale and the lender will attempt to modify your loan before agreeing to a short sale.